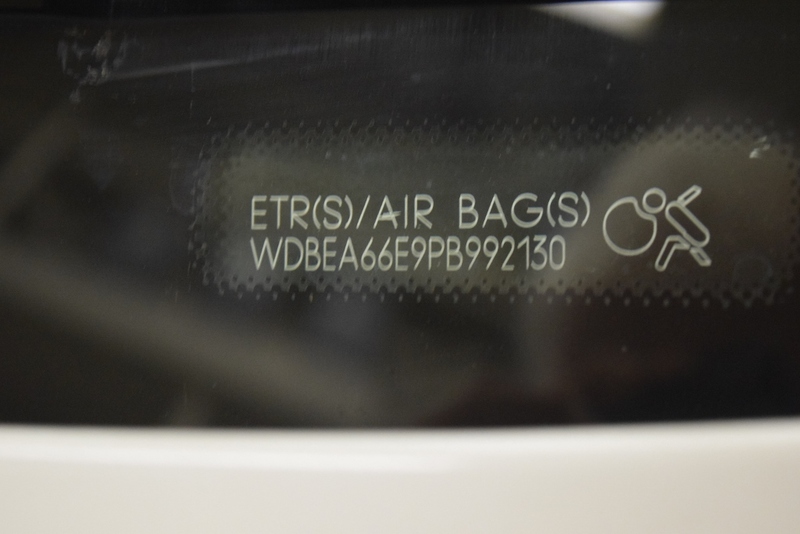 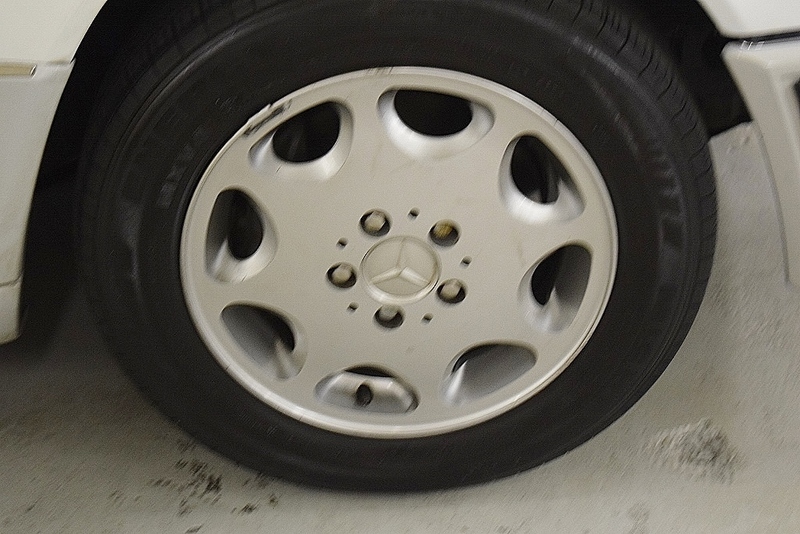 The car appears to have been finished in the very popular Arktic White, with a contrasting darker white below its dent-guard. 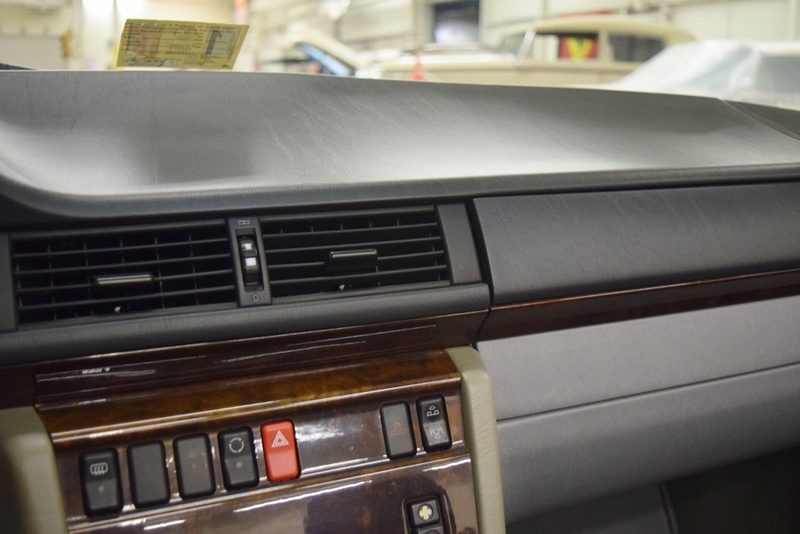 The frame and underside of the car appear free of rust, other than some minimal surface rust. 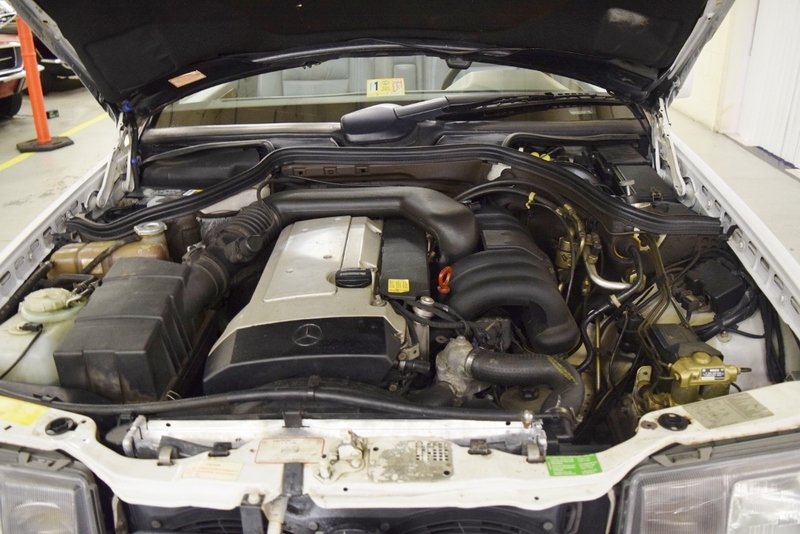 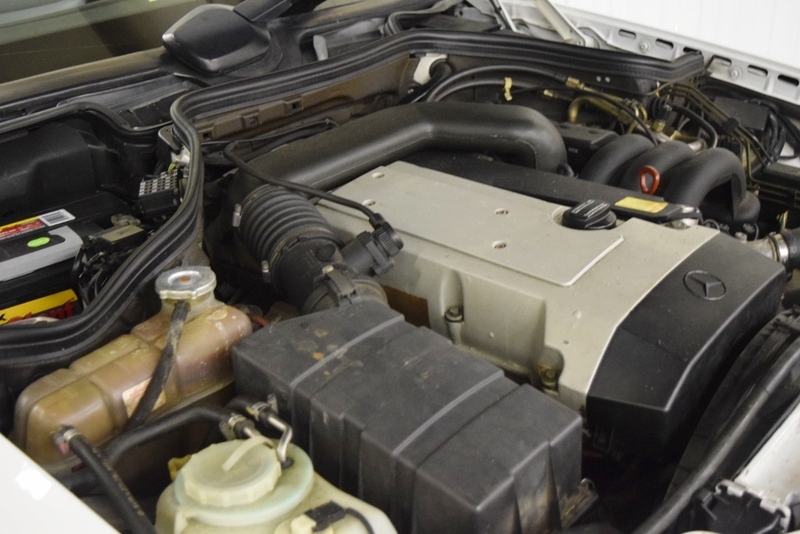 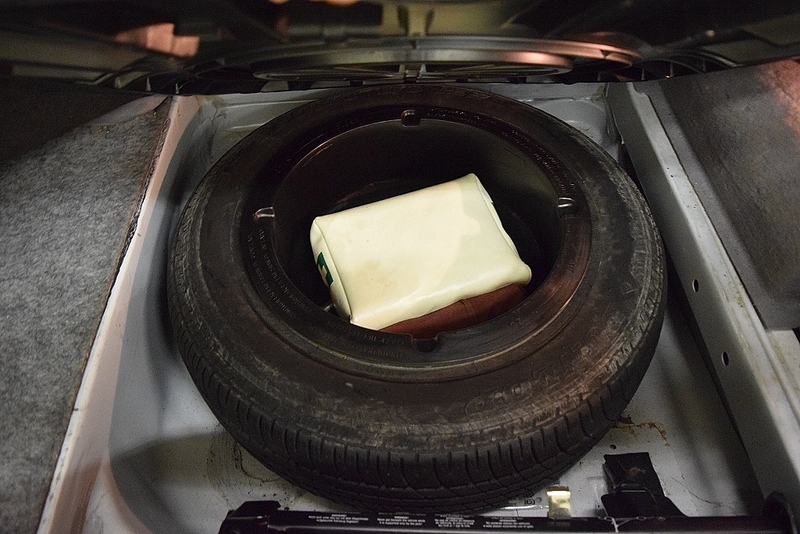 Open the hood and one looks down into an unusually clean engine compartment. 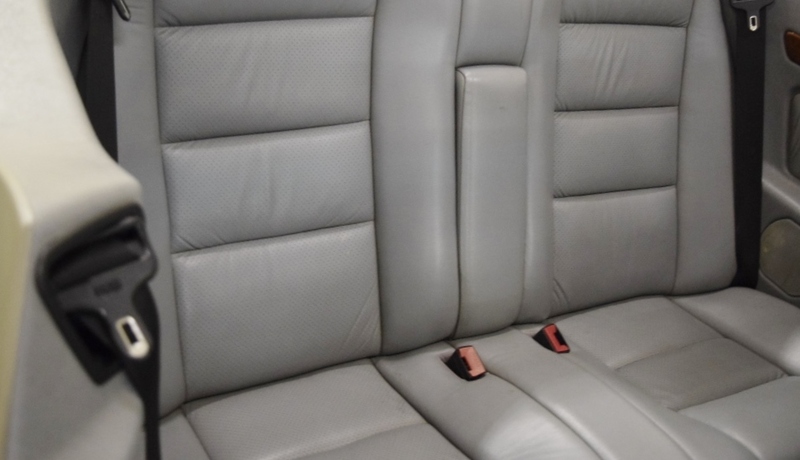 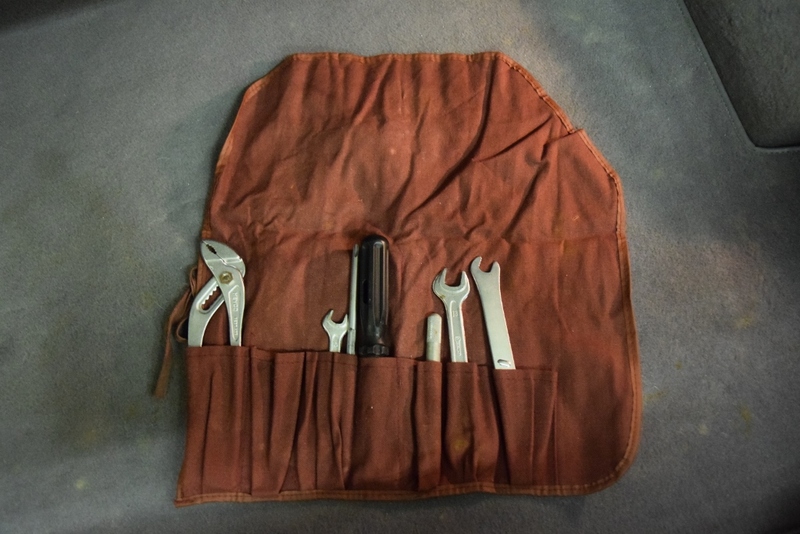 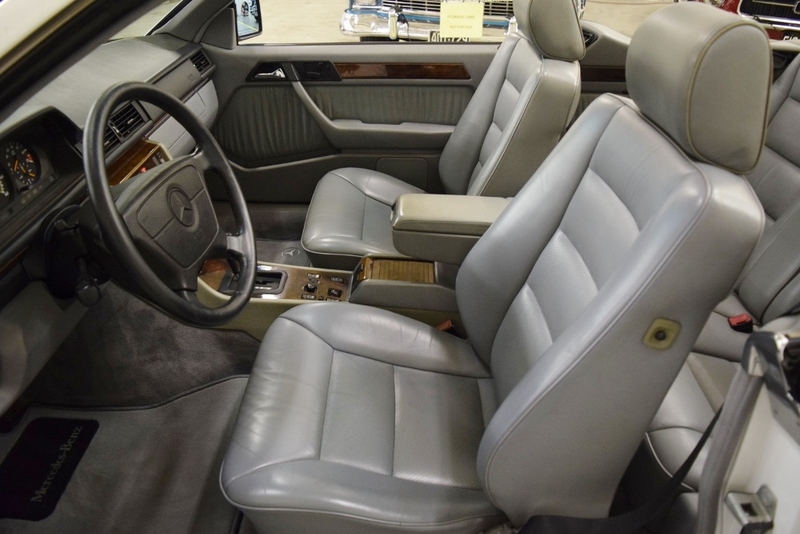 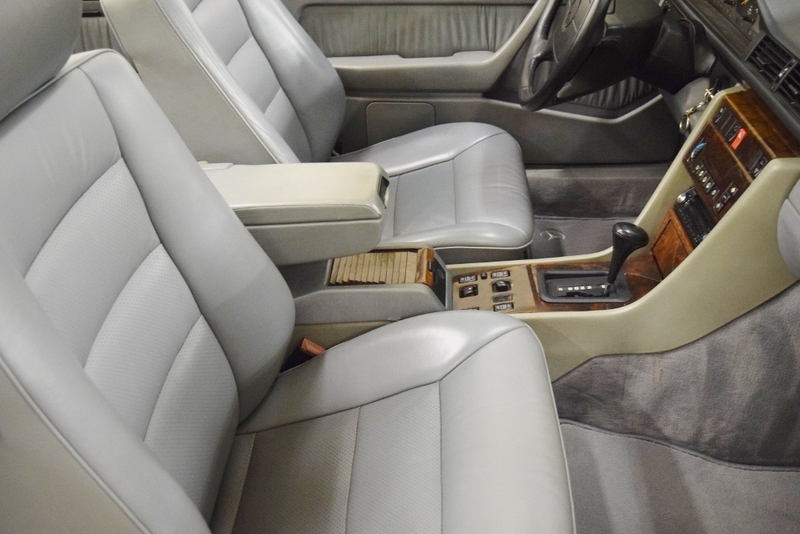 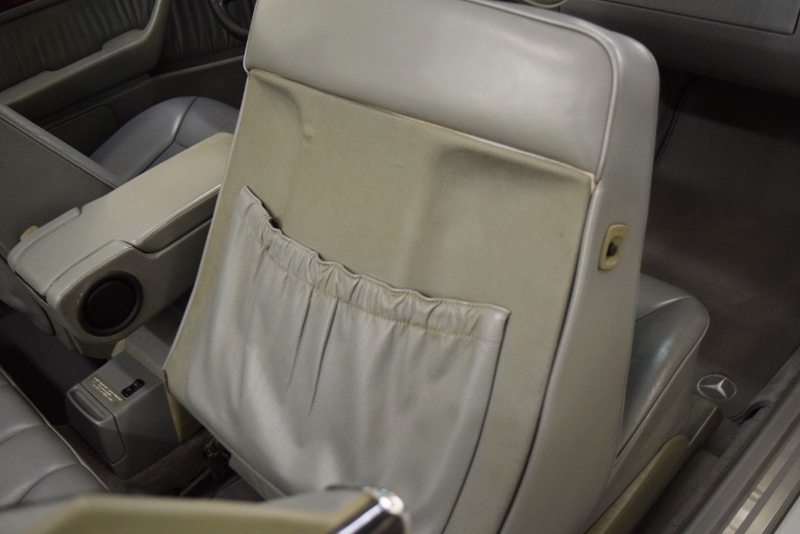 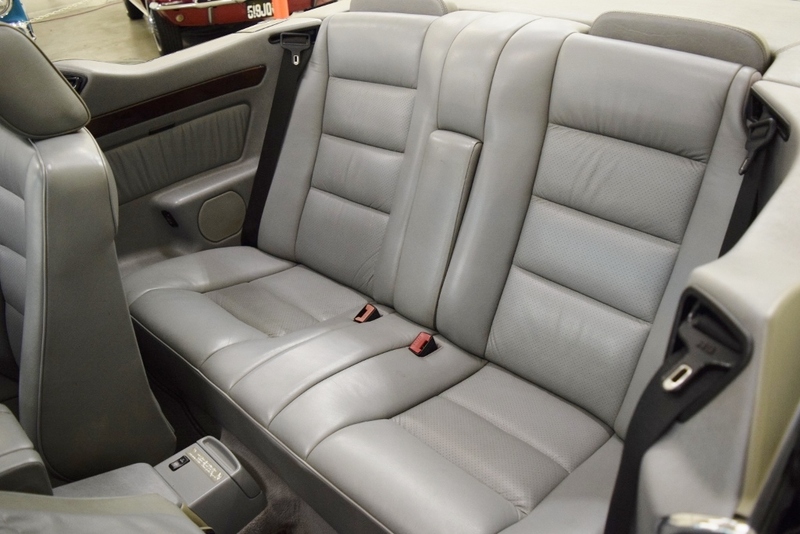 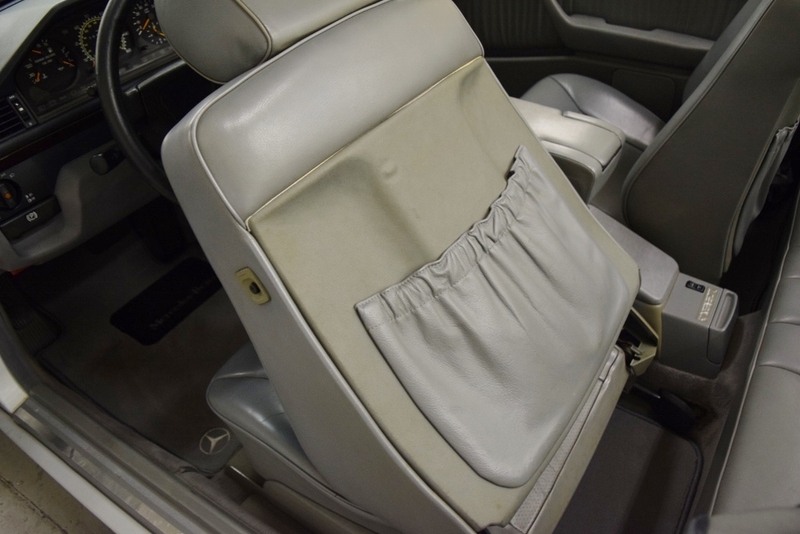 The Gray leather seat upholstery—with room for 4—is all in very good condition. 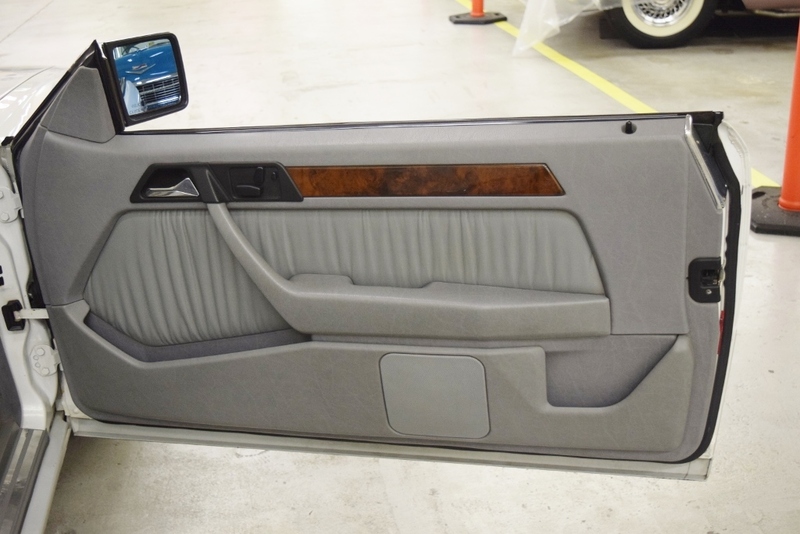 The door panels and dash pad look equally nice. 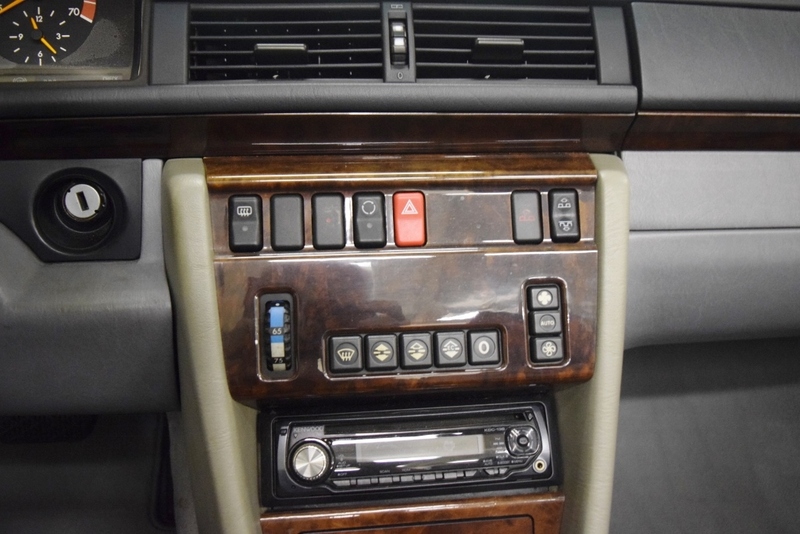 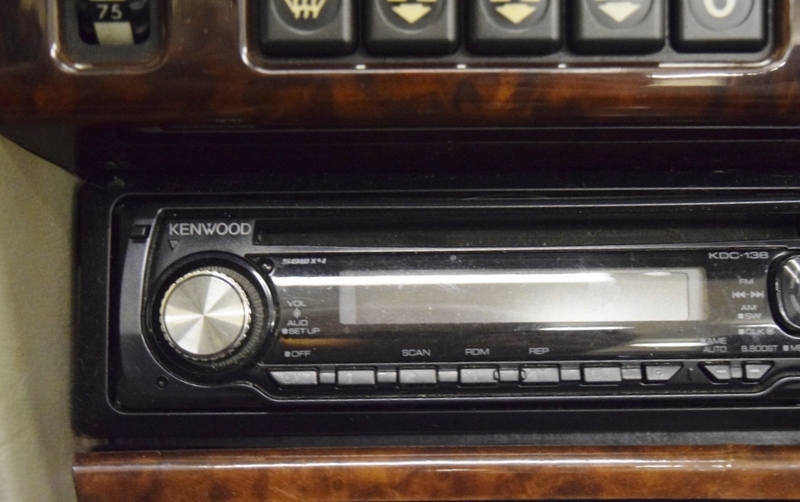 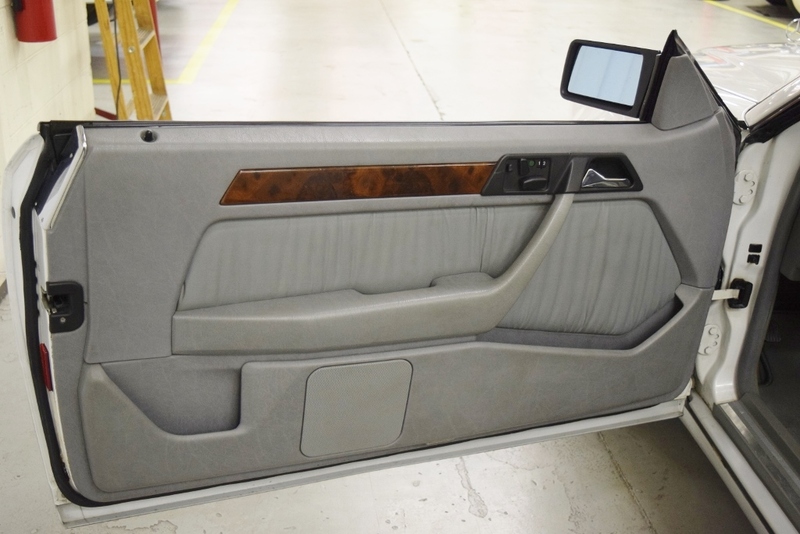 Unusual for these vintage Mercedes, the wood dash trim all is in good condition. 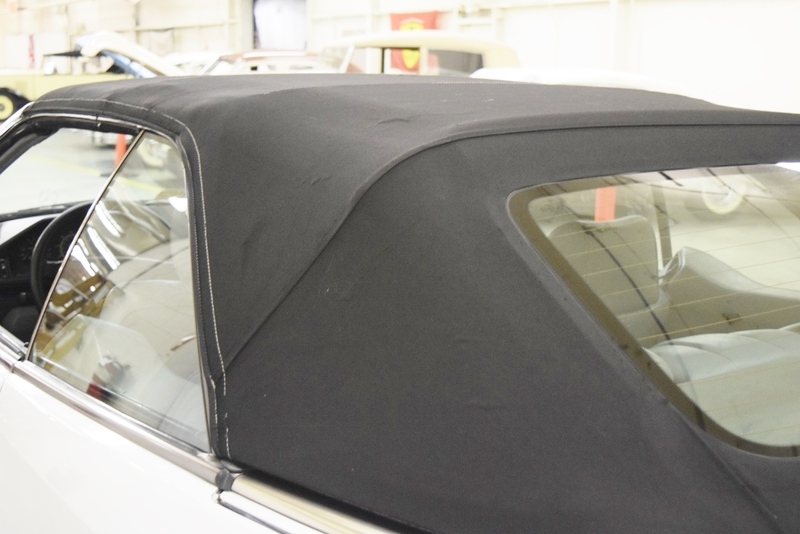 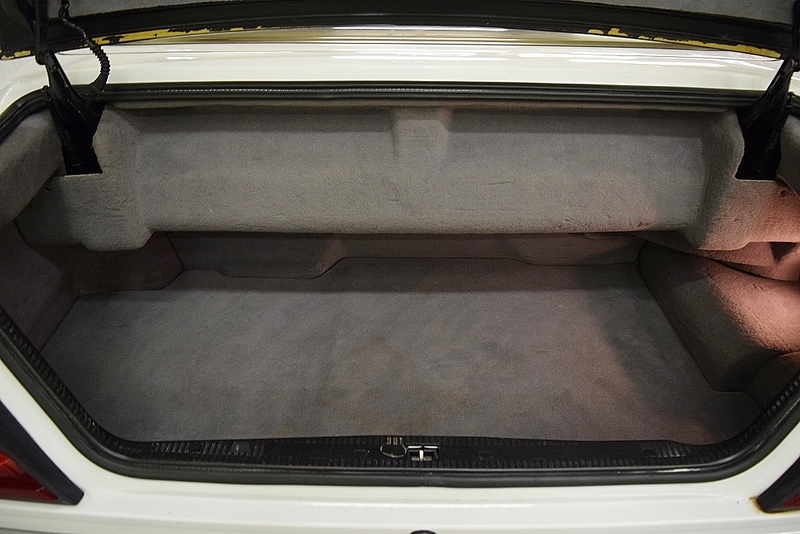 The black cabriolet top is canvas (as original) and in excellent condition and features a glass rear window with defogger. 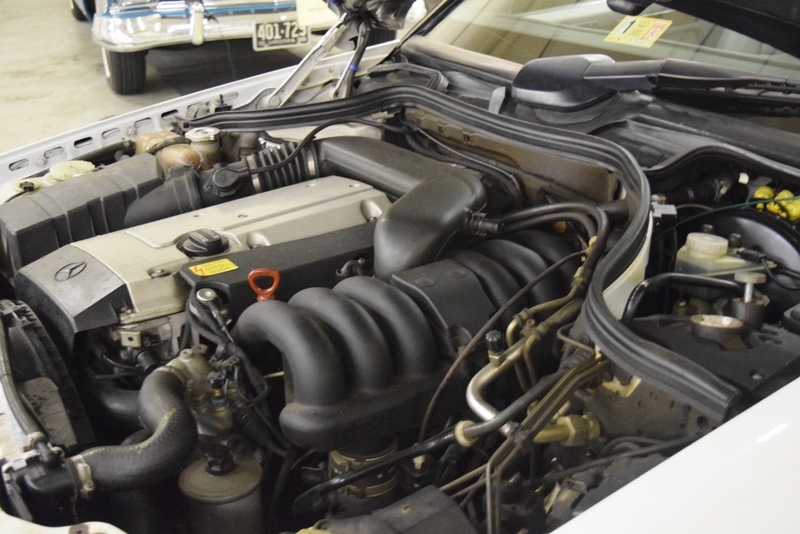 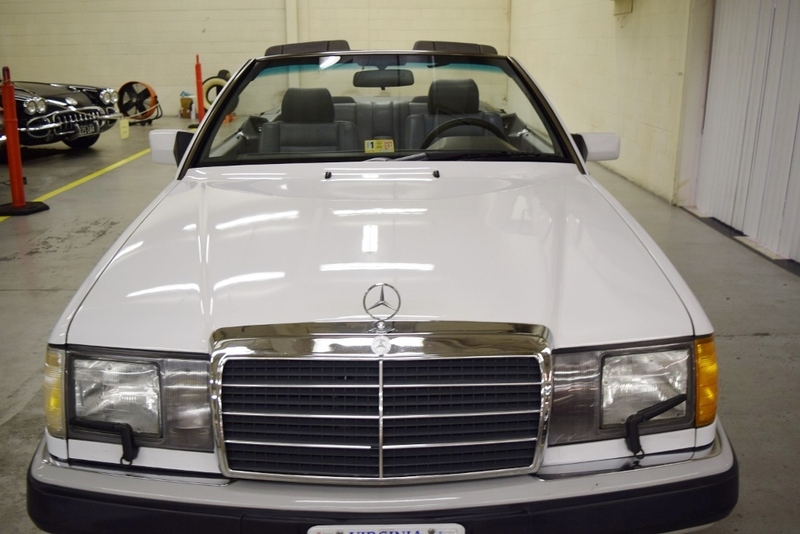 This car is equipped with Mercedes’ famous 3.0 liter in-line 6 cylinder engine. 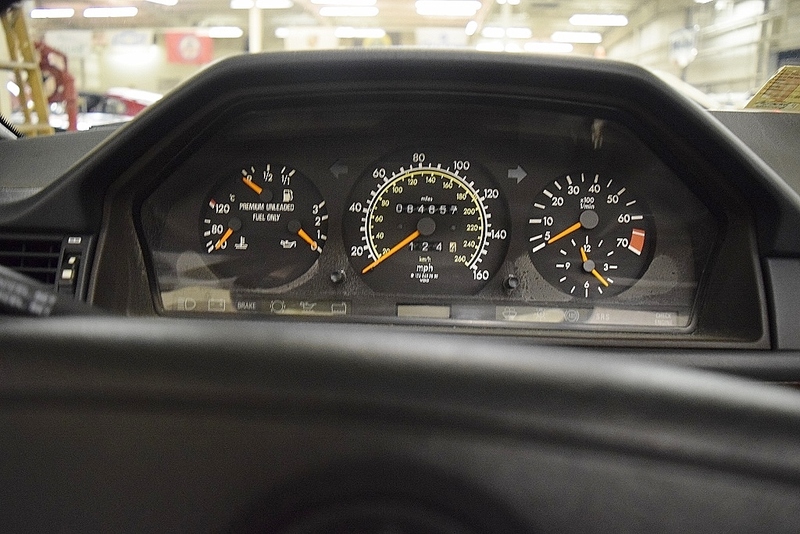 The engine starts right up and runs as it should—strong and fast! 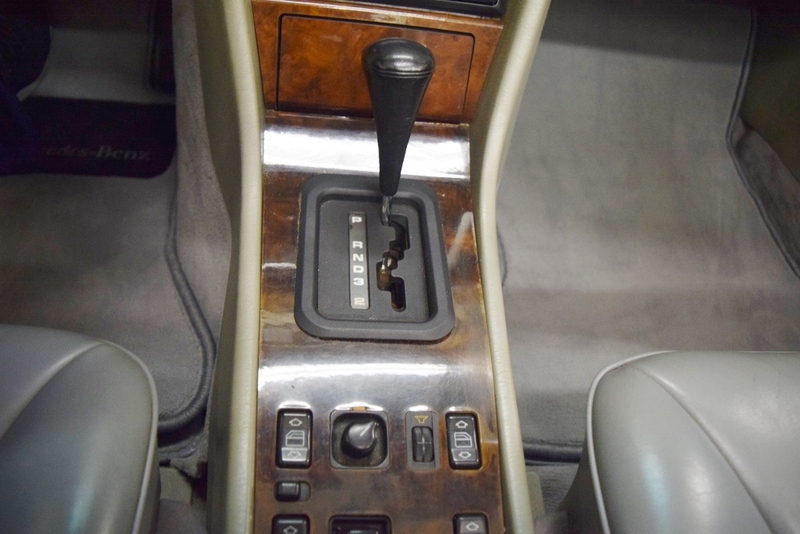 Transmission The 4-speed automatic transmission shift properly and smoothly enabling an enjoyable ride around town or into the country. 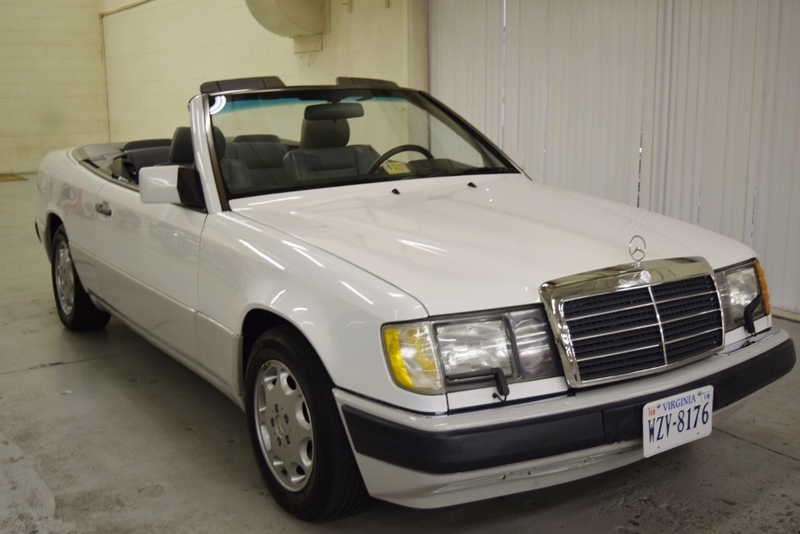 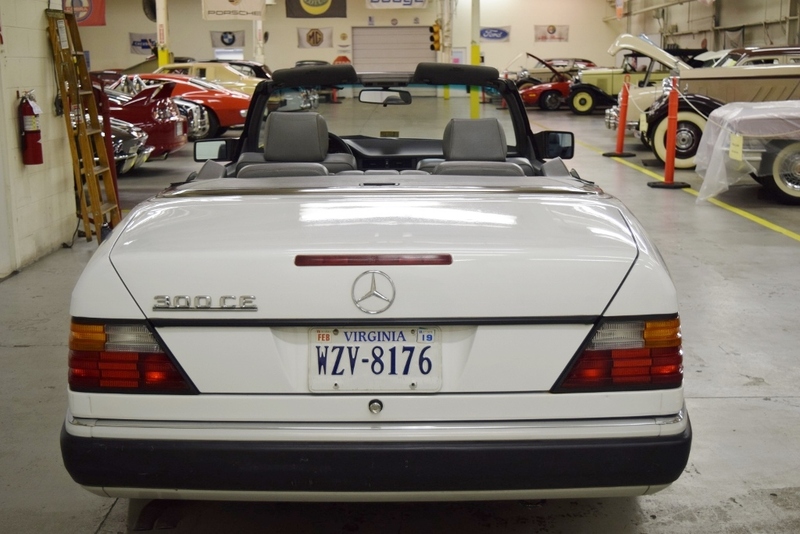 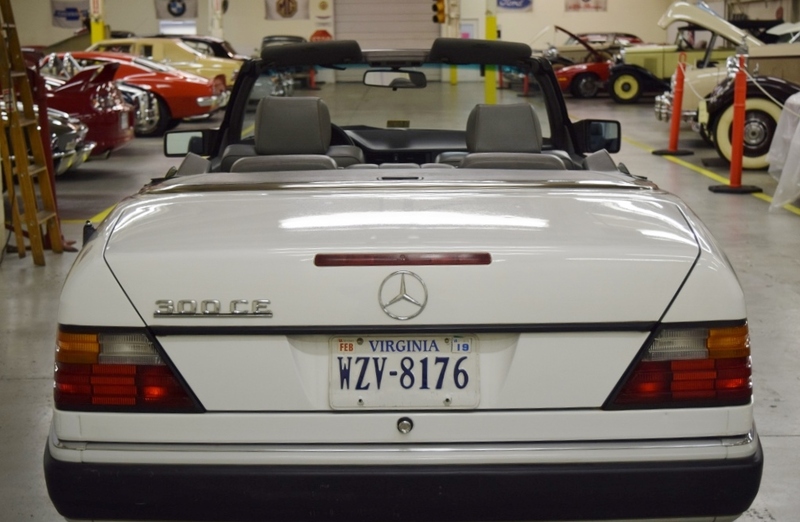 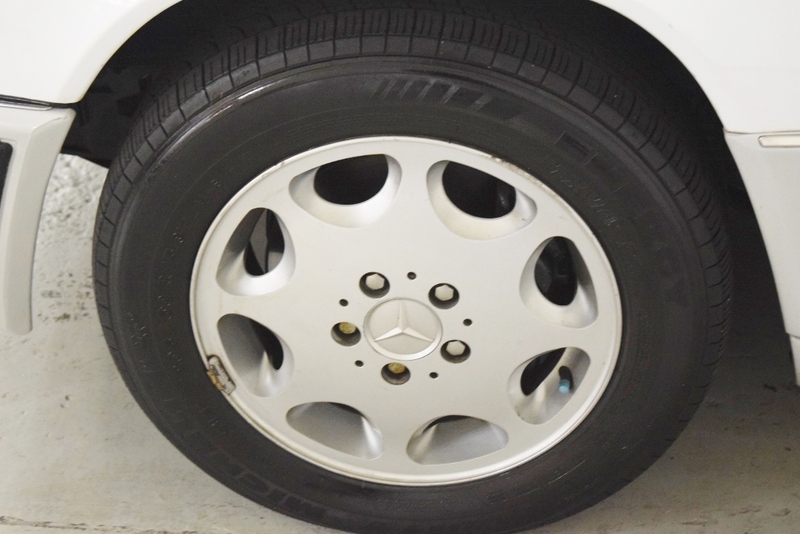 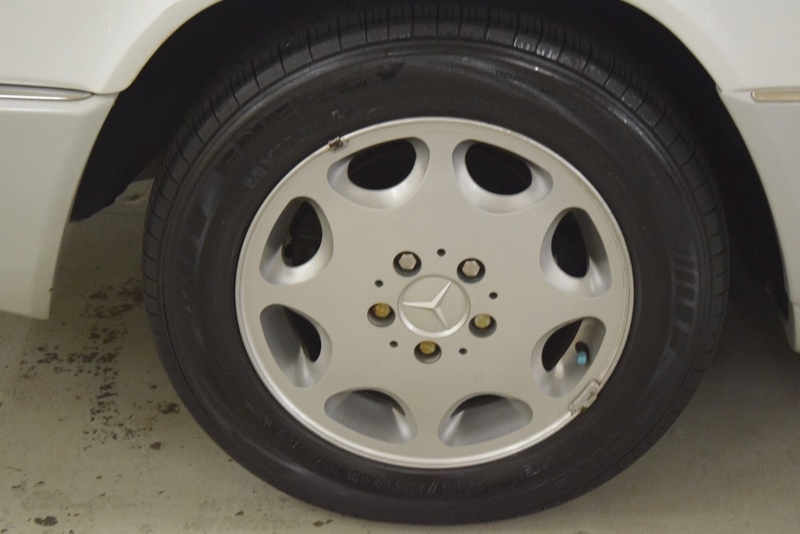 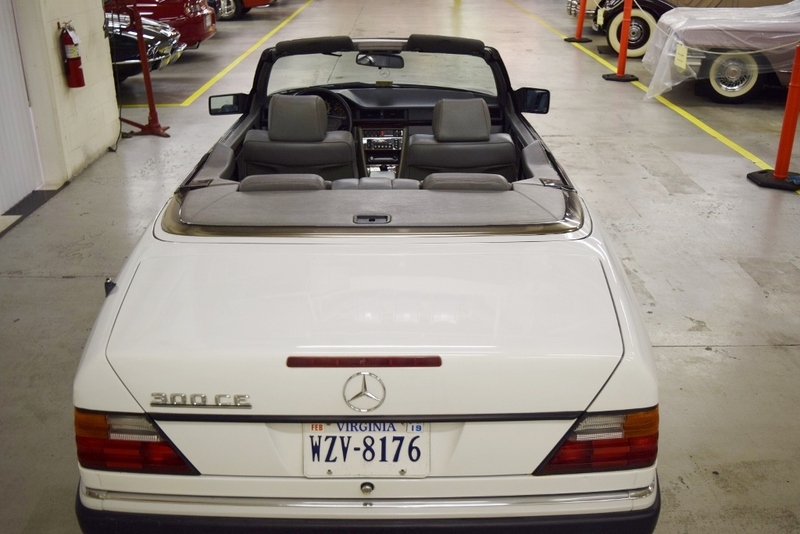 This cabriolet has 4 Michelin 205/60 R15 tires mounted on regular Mercedes wheels—that have much of their tread remaining—as well as a spare. 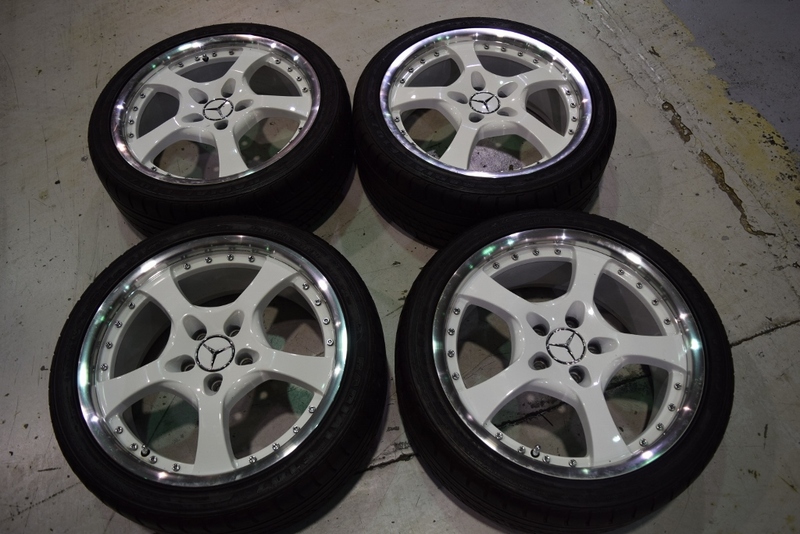 In addition, there is a set of 4 color-coordinated wheels that look as new which will transfer with the car. 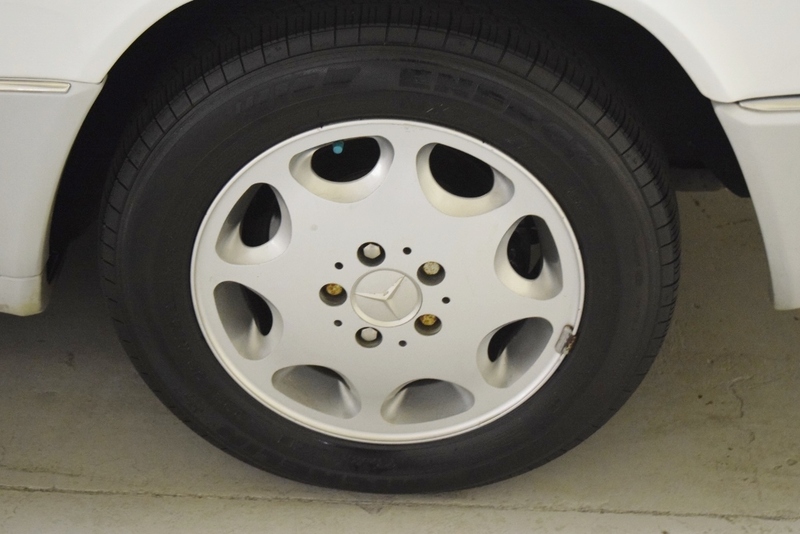 The power disc brakes with ABS on all four wheels bring the car to a rapid and safe stop. 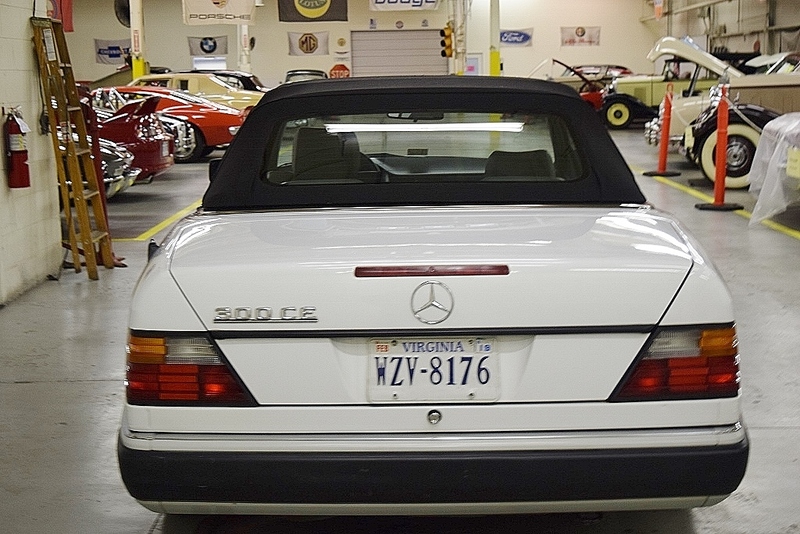 When one sees and drives this 300CE Cabriolet it becomes apparent why this hand-built car is considered to be of “heirloom-quality”. 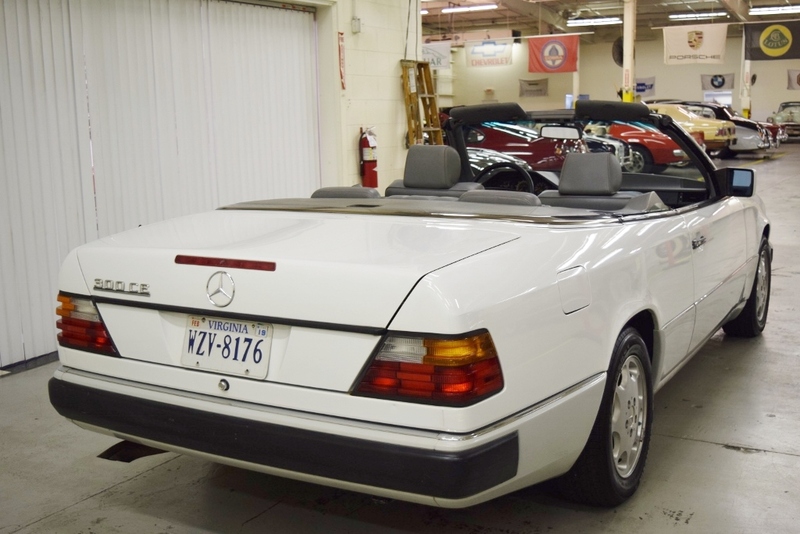 Designed for the high speeds of the Autobahn, the words solid, comfortable and reliable best describe this Cabriolet. 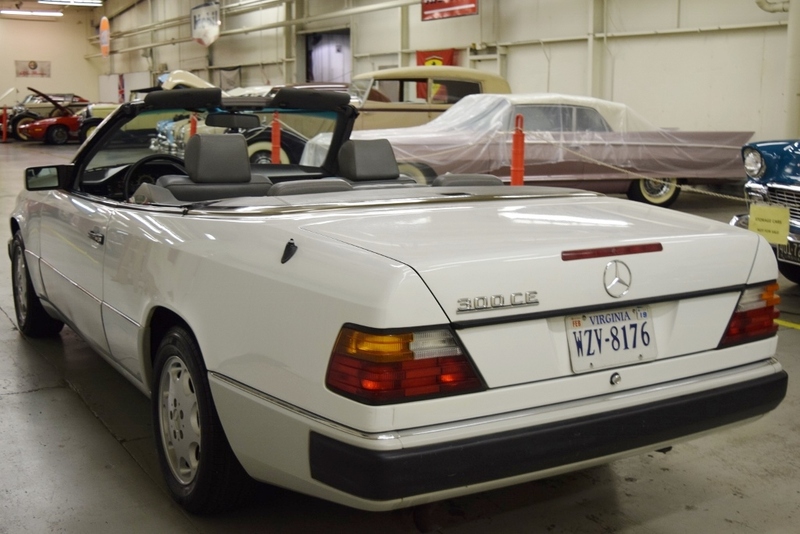 This series is set to become the next generation of Mercedes that experience value appreciation. 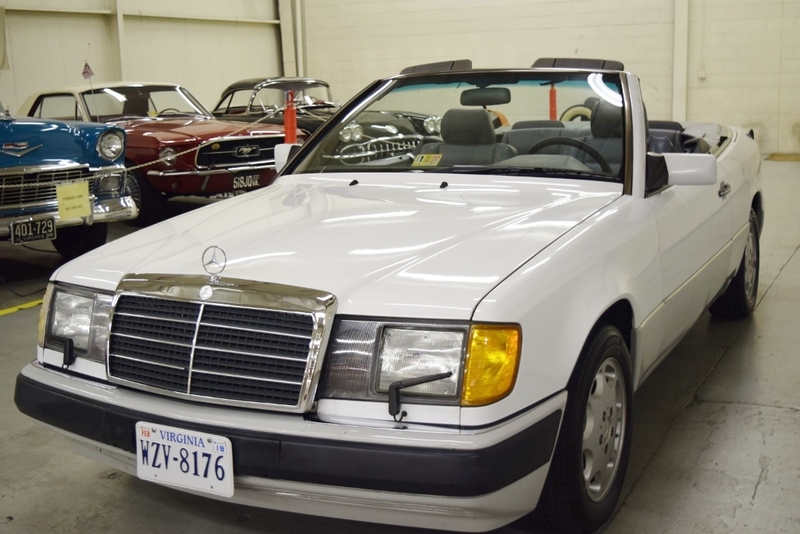 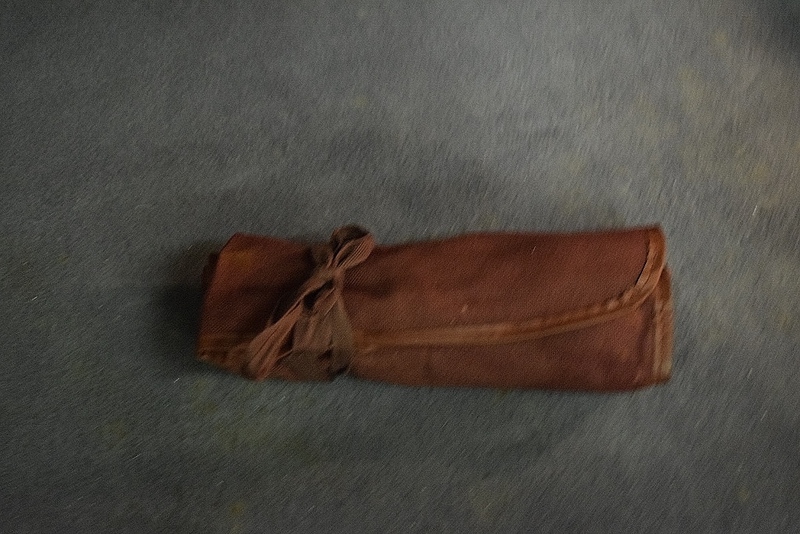 Accordingly, this 300CE represents not just a great driving experience but likely a sound investment as well. 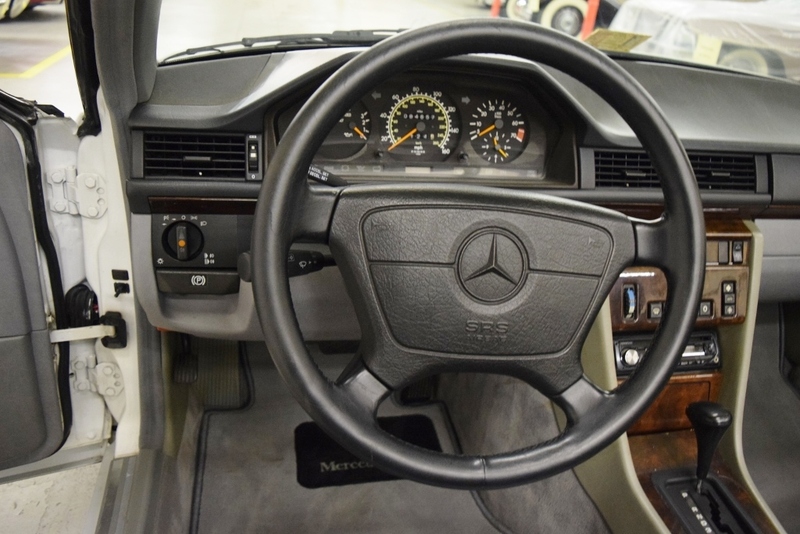 However good the investment, the joy of driving this quality machine is what really counts.